On Monday, the Cleveland Cavaliers took to Twitter to share the top highlights of the 2018-19 season. The Cleveland Cavaliers didn't enjoy many victories this past season -- 19, to be exact. But even as they transitioned into their second post-LeBron James era, the Cavs managed to provide plenty of highlights. So much so, that when it came to make their year-end highlight video, the tape checked in at just under 10 minutes. On Monday, the Cavs took to Twitter to share their top plays of the season, which in its words included plenty of "dimes," "posters" and "daggers." Coming off four straight runs to the NBA Finals, the Cavs recorded a 19-63 record this past season -- which tied for the Phoenix Suns as the second-worst record in the league. 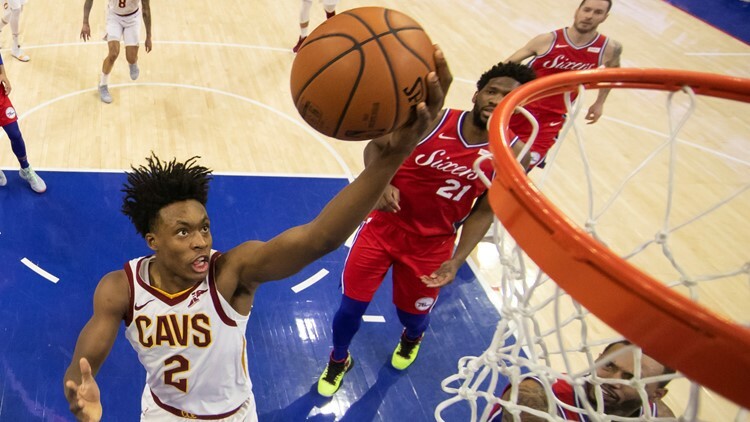 On Friday, Cleveland won a tiebreaker drawing against the Suns that will place them in the second slot of the NBA Draft Lottery, meaning that the furthest the Cavs can see their pick fall in the upcoming draft is sixth. Of course, Cleveland is hopeful it will be picking higher than that, with the Cavs possessing a 14 percent chance of landing the No. 1 overall pick and a 52.1 percent chance of securing a top-four selection. Those are the best odds available under the current NBA Draft Lottery format, which will be used to draw the top four picks in the upcoming draft. Should the Cavs win the lottery, which will take place in Chicago on May 14, it's widely expected they'll select Zion Williamson, who is widely regarded as the No. 1 pick prospect in the draft. In his freshman season, the Duke forward showed that he's plenty capable of adding to what is already an impressive collection of highlights that's been compiled in Cleveland.